Over 80 delegates and representatives from 28 cities took part in full day summit where a series of panel discussions addressed issues such as stakeholder coordination, end user engagement, district cooling and financing. On behalf of the 72 CELSIUS cities, Ulf Kamne, Deputy Mayor of Gothenburg, signed and pledged to adhere to the Call for Action “Bringing Sustainable Heat and Cold to the Heart of Our Cities!”. The document was handed over to Hans van Steen, the Acting Director of the Directorate Renewables, Research and Innovation, Energy Efficiency at the European Commission. 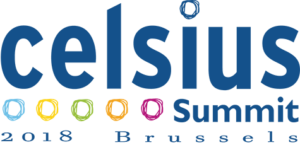 – We are very happy to have been given a clear position paper from CELSIUS, which gives us some indications about what CELSIUS would like to see from the European Commission and we will of course read it very carefully, says Hans van Steen. The question of sustainable heating and cooling supply to cities is of fundamental importance to Europe’s wider ambition to carry out a transition to a low carbon economy by 2050. The 11 Deputy Mayors and official city representatives at the CELSIUS Summit underlined that their local energy transition strategies explicitly address the decarbonisation of heating and cooling. Cities are more than willing to show leadership in this area! – ­I hope that we will continue to work together and to share ideas so that we can become stronger in fighting climate change on the local level, says Arno Bonte, Deputy Mayor of the City of Rotterdam. The original CELSIUS project was run by the City of Gothenburg between 2013 and 2017 and received EU-funding from the Seventh Framework Programme. Its three main pillars were; innovative demonstration, replication via a city-network and a digital toolbox and policy-influence. The continuation of CELSIUS has so far received support from Climate-KIC and the Swedish Energy Agency, who both also had representatives take part in the CELSIUS Summit. – ­I think that the cities that are here, with a high level of leadership and a lot of engagement is a signal to the European Union that supporting cities in leading this work is part of the way forward, says Thomas Osdoba, Senior Cities Adisor at Climate-KIC.